Heavy rain triggered by the Cyclone Phethai in Visakhapatnam and Vizianagaram districts has come as a blessing in disguise for the Greater Visakhapatnam Municipal Corporation (GVMC) which was mulling several options to deal with the possible water woes in the city, after the north-east monsoon played truant. Apprehending an impending water scarcity in the next summer, given the depleting water levels at the reservoirs, the civic body even had started preparing the summer action plan well in advance. 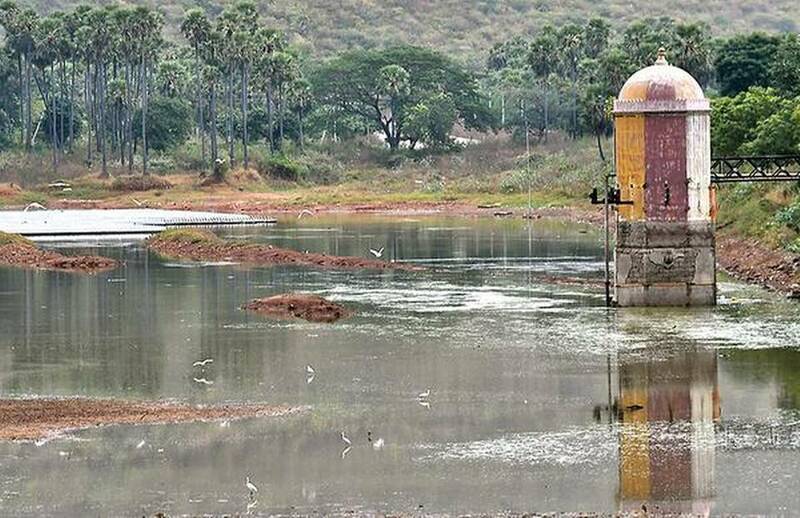 Recently, the officials have identified Yeleru reservoir, which is fed by the Purushottapatnam lift scheme during the flooding season, as the back-up arrangement to ensure adequate water supply. To increase the quantum of water to be drawn from it, maintenance and repair works have also been taken up. However, the rain during the last two days has offered a breather to the officials as the water levels at two major reservoirs have gone up. Having received good inflows, the water level at Raiwada reservoir has gone up from 101.6 metres to 102.4 meters, which the officials say a good rise. The same at Tatipudi reservoir has increased by two feet—from 258.5 ft to 260.5 ft. Considering the daily supply, the Raiwada reservoir is estimated to be sustainable up to February 9 earlier. With the fresh inflows, it is now expected to last until March 20, sources say, adding that further rise in the water level is likely as the inflows are expected to continue on Wednesday too. It is now hoped that the Tatipudi reservoir that is estimated to last till April is now sustainable up to May 25. The Yeleru reservoir too swelled up from 86.01 metre on Monday to 86.08 metre on Tuesday. Closer home, Megahdrigedda reservoir and the subsurface Mudasarlova reservoir have hardly experienced any rise in the water level, the sources add. It is being used as a balancing reservoir to tide over the summer crisis. From 48.4 ft, the water level has increased by a mere four inches and the same at Mudasarlova reservoir by two inches.